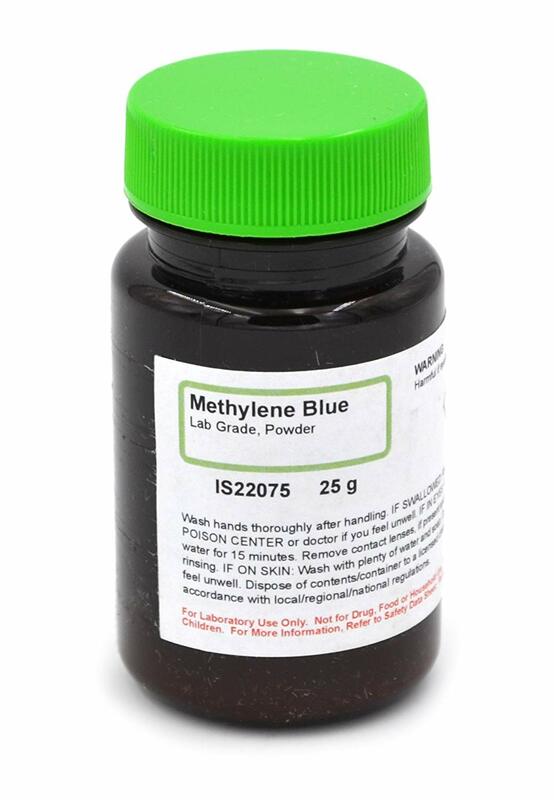 Innovating Science’s lab-grade methylene blue powder comes in a 25g bottle. Often used as a staining agent, this makes the chemical a perfect fit in any educational or research lab dealing with microbiology or chemistry. Each bottle has safe handling and storage procedures printed directly on the bottle. This is a high quality chemical designed for use in research labs.